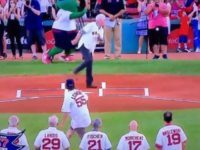 Cancer survivor Jordan Leandre was invited to throw out the first pitch during Wednesday’s Red Sox-Cardinals game at Fenway Park. 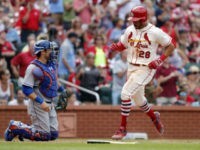 Though, his pitch turned into a below the belt surprise for an unsuspecting camera man. 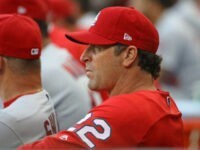 Los Angeles (AFP) – The St. Louis Cardinals abruptly fired manager Mike Matheny on Saturday, ending his tenure with the Major League Baseball club after six and a half seasons. 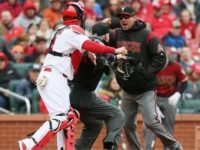 St. Louis Cardinals catcher Yadier Molina had to be restrained Sunday after Arizona Diamondbacks manager Torey Lovullo gestured towards the catcher in an argument with the home plate umpire. 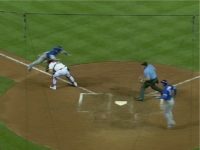 Molina charged at Lovullo, but was held back by the umpire. 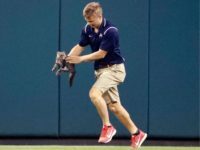 As part of a cruel bid to ensure that sports fans have nowhere to turn, without being confronted with the decay of Western society. 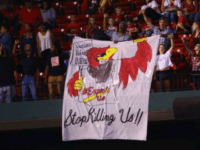 Another group of protesters unfurled yet another banner at a major league park, this time in St. Louis. 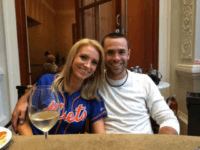 St. Louis Cardinals pitcher Sean Gilmartin is engaged to marry newly appointed Trump TV spokeswoman Kayleigh McEnany and apparently Stephen Douglas doesn’t like it. 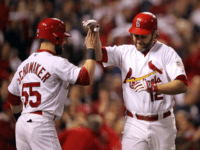 The St. Louis Cardinals have sponsored “Christian Day” for 30 years, but recently gay activists have begun to pressure the Major League Baseball team to cancel the special day or at the very least to remove former Cardinals star Lance Berkman as the event’s spokesman. 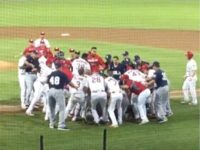 To it’s credit the team has rejected the demands. 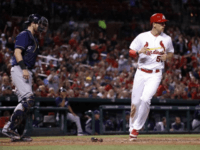 The St. Louis Cardinals have found themselves in the crosshairs of the LGBT community for inviting former Cardinal Lance Berkman to the team’s annual Christian Day event. 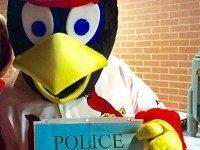 A woman attending Tuesday night’s St. Louis Cardinals 2-1 win over the Milwaukee Brewers at Busch Stadium was grazed by a bullet as she sat in her seat near the Cardinal dugout, authorities say. 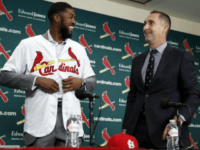 Cardinals outfielder Dexter Fowler says President Trump’s travel ban has affected his home life to the point where they no longer feel comfortable traveling to Iran, to visit his wife’s family. 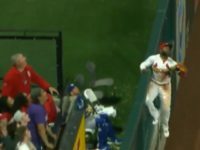 Before the Cardinals finished playing the Cubs at Busch Stadium on Monday controversy exploded over claims that when African American Cubs right fielder Jason Heyward came to the plate someone yelled the “N-word” over microphones ESPN had trained on the fans. 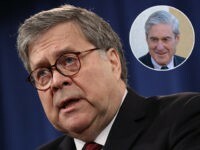 It turned out that the charges were a complete hoax, yet many major sports outlets reported on it as though it were true. 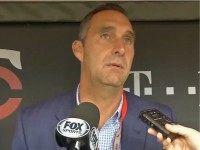 The St. Louis Cardinals have fired their scouting director in the wake of an FBI investigation into charges that someone in the team’s front office hacked into the computer system of the Houston Astros. 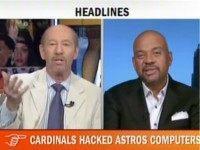 Earlier this week the New York Times revealed that the St. Louis Cardinals allegedly hacked into the Houston Astros computer network and stole proprietary information back in June 2014. Actress Minnie Driver couldn’t get the words just right while singing the National Anthem ahead of Friday night’s Dodger game. 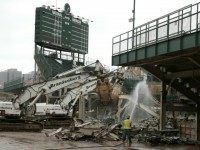 Despite rumors that Major League Baseball wants the Chicago Cubs to play Opening Night at White Sox US Cellular Field because of unfinished reconstruction at 100-year old Wrigley Field, the Cubbies will indeed open the regular season at home.